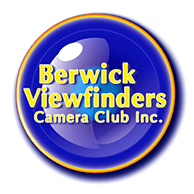 Berwick Viewfinders Camera Club Inc. Model Release Form - Berwick Viewfinders Camera Club Inc. The Club, from time to time, conducts Model Shoots. We have a Model Release Form which should be used for such occasions. It should be signed by the model(s) before any photographs are taken. This form clarifies Copyright issues and how the resulting images can be used.